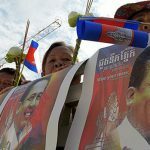 Does Cambodia’s New Opposition Party Really Matter? 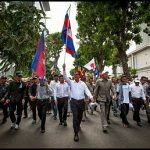 Cambodia’s former opposition leader Sam Rainsy’s reverence for political change is exceeded only by his reverence for himself as the instigator of it. The value of construction projects in Cambodia rose more than 22 percent to $6.4 billion in 2017 from the previous year, according to official figures released on Tuesday that showed the impact of a boom driven by Chinese investors. 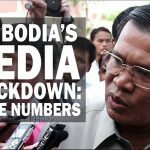 333 — Media outlets shut by authorities. 132 — Ranking on the World Press Freedom Index out of 180 countries. 118 — Number of opposition party members banned from politics. 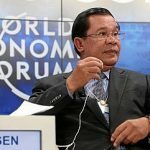 Signs of division emerged among opponents of long-serving Cambodian Prime Minister Hun Sen on Monday after prominent exiles said they had founded a new movement following a ban on the main opposition party. Cambodia today opened the doors of its first ever national cancer centre. 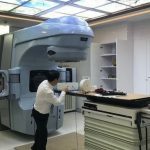 The new facility was built with the support of the International Atomic Energy Agency (IAEA), and will significantly increase the country’s capacity to fight a growing cancer burden. 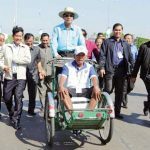 Cambodia’s Prime Minister Hun Sen launched a foundation on Saturday (Jan 13) to preserve the country’s remaining iconic cyclos. 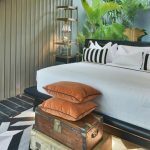 You have to be a bit crazy for people to take notice,” said hotel designer Bill Bensley, before I became the first journalist to check in to Shinta Mani Angkor – Bensley Collection in Siem Reap, Cambodia. 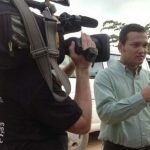 Abdullah hoped that moving to Cambodia under Australia’s refugee deal would allow him to be reunited with his family. But that has not happened. 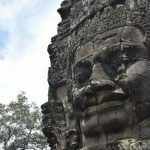 Angkor Wat’s Muslims: The key to Cambodia’s halal tourism? 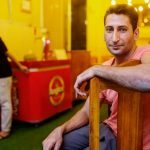 If you close your eyes and listen carefully at sunset in Siem Reap’s old town, between the rhythmic chants and tinkling bells emanating from the local Buddhist temples, you will hear the faint, melodious sound of the Muslim call to prayer. 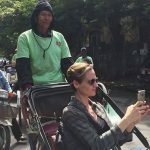 The Appeal Court this morning overturned defamation convictions for three staffers from NGO Equitable Cambodia (EC) brought by a former employee. A punitive approach will not stop the country’s democratic collapse. 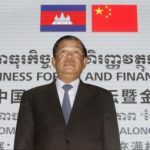 China pledges more investment in Cambodia, but is Phnom Penh selling itself short? Observers consider what price the Southeast Asian nation might one day pay for Beijing’s support. 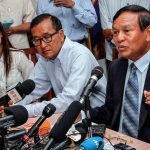 Foreign-based members of Cambodia’s dissolved opposition party have launched a movement to demand the release of its detained leader and to call for free and fair elections and possibly protests. Prime Minister Prayut Chan-o-cha is in Phnom Penh for the two-day Mekong River summit that begins this morning. 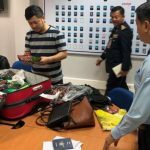 Phnom Penh — An Australian woman arrested at Phnom Penh airport has been charged with drug trafficking by Cambodian authorities. 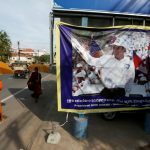 A court in Cambodia’s capital Phnom Penh sentenced a Cambodian woman to a one-year jail term on Thursday for posting a video on her Facebook page accusing Prime Minister Hun Sen of ordering the murder more than a year ago of government critic Kem Ley. 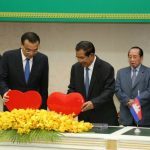 Arriving in Phnom Penh in the midst of a political crackdown on dissent, Chinese Premier Li Keqiang showed no qualms about signing 19 major development deals yesterday with Cambodian Prime Minister Hun Sen, making it clear that Chinese aid to the Kingdom remains unaffected by human rights concerns. 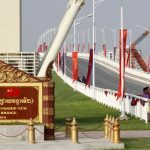 In a summit big on fanfare but light on detail this week, China pushed through a five-year development plan with the countries along of one Asia’s most critical and embattled rivers – the Mekong.